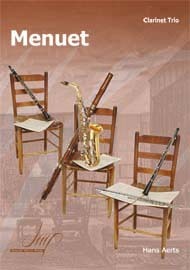 The clarinet trio, while not as often performed as clarinet quintets or quartets, has been written by composers since the development of the modern clarinet. Great composers of clarinet music, such as Mozart and Brahms, have been responsible for some of the greatest trios even written for the clarinet, and modern composers have embraced the form of the trio as well. A trio with a clarinet included also often has a piano, and a string instrument. Beethoven and Brahms chose to write trios with clarinet, piano and cello; Mozart preferred to use his favorite instrument, the viola, with his second favorite, the clarinet. The traditional use of instrumentation continued on to the 20th century, with composers such as John Ireland using the clarinet, piano, cello configuration for their composition of a trio. Aram Khachaturian chose to replace the cello with a violin for a trio he wrote in 1932, his only full length chamber work. Some modern composers have chosen to work with different instrumentations, however. Many composers have written trios for clarinets only, sometimes for B flat soprano instruments, sometimes including a bass instrument. 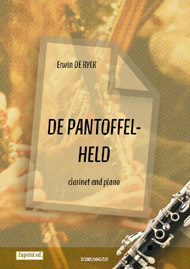 Other combinations include with other wind instruments, such as flute, oboe or bassoon. However, not all composers have turned their back on past tradition, with composers such as Hugh Wood scoring a trio for clarinet, cello and piano. In jazz, a trio with a clarinet usually also includes a bass and drums, or piano and drums, along with a clarinet, who will usually take the solo melodic line. 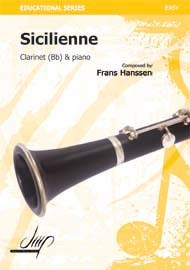 A trio with a combination of two B flat and a bass version of the clarinet is also sometimes used, though this instrumentation is more popular in Europe than North America.